So is he eligible immediately or at semester? Did he announce his transfer from Nevada mid-season so that is why he didn’t play more than half the year or was it an injury? If the staff was going to use a scholarship on a grad transfer guard, I'm glad they chose Lewis. He wanted to come home and and understands how to play off the ball. Can impact the game as a three point specialist even in limited minutes. If he's not a grad transfer I don't understand the pickup. You’re missing the part where we still have 2 scholarships to go and as of right now no seniors next year. It’s an interesting deal. Good player, but I have no idea what his eligibility situation is. He didn’t finish his sitting out time at Nevada, so can he get out of sitting out any more time on account of Musselman leaving? Is there a chance he graduates early and counts as a grad transfer? Other players have announced they were entering the transfer portal, but he didn’t. Maybe he is a grad transfer. Anyway, maybe it’s a partial righting of one if the basketball doofus’s numerous screw-ups. Don’t compare him to McBroom...he went to Chaminade. This is great news! No more pitbull around here? We need shooters to space the floor for French. Lewis Jimerson, potentially Perkins and Fred. More shooters the better. Quick release from deep. He certainly has a stronger case to play immediately than some recent waivers we've seen. This is more of Travis playing the long game with St Louis recruiting. You bring mike Lewis home and you further align yourself with Jayson Tatum and the St Louis community. 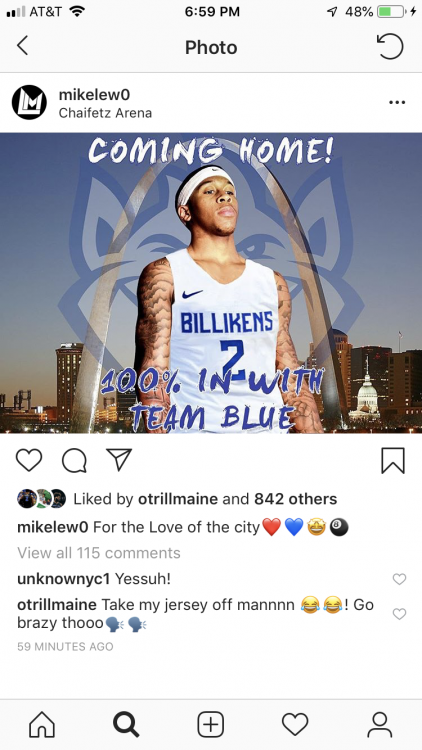 Staying home to play Billiken basketball is now a first thought for local talent instead of a second choice. It will be nice to have a 82% freethrow shooter in at the end of games. He hit 89 three’s his sophomore year and a shade under 37%. I’ll certainly take that. Hopefully he can play right away. So looks like he played two and a half seasons at Duquesne. So seems he starts playing second semester next year and has a year and a half eligibility???? Ready for conference play. So looks like he played two and a half seasons at Duquesne. So seems he starts playing second semester next year and has a year and a half eligibility???? That’s what I am seeing as well but everyone seems confused on the situation for some reason. Goodwin and French have more pt than the average junior I would imagine. If you play in one game you have used a years eligibity unless you get a medical redshirt. He can play second semester and use the rest of his eligibilty or sit out the year and play all of 2020. If Smith got a waiver to play right away at Missouri, he should get one too. He has been through two coaching changes. Smith had none. It shouldn’t be hard to get him eligible immediately. Nice pickup. I agree to an extent. 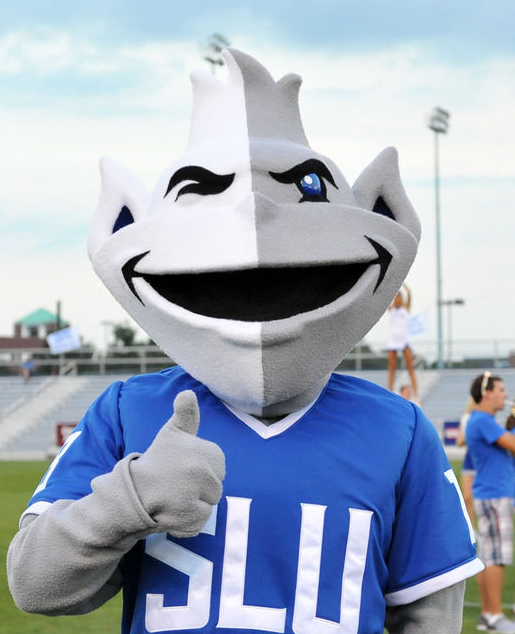 I don’t want SLU to be the “I can always transfer back there” school either though. Ford wasn’t around when Lewis committed Or he already did or was brand new. Man is this further proof that Jim Crews was terribly awful at his job.